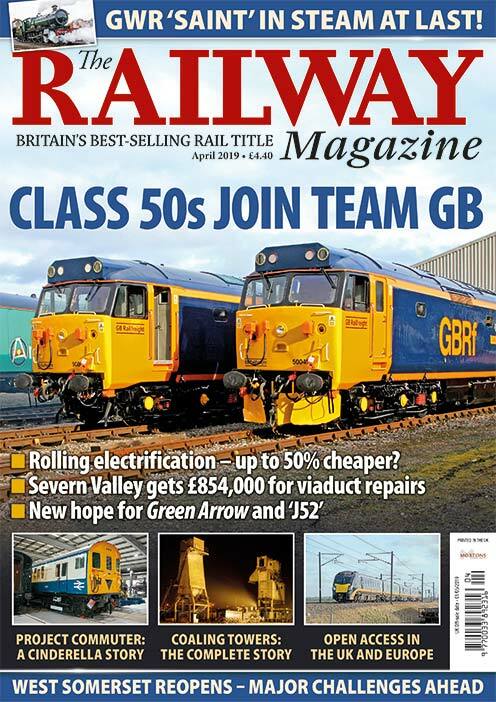 Government cancels three electrification schemes in favour of bi-mode trains, £6.6bn HS2 contracts awarded and Phase 2b routes confirmed, Vandals attack NYMR Gresley teak set, Two new high-speed lines open in France, Mail Rail museum launch, Electric Railway Museum to close in October. Southern steam galas draw huge crowds, Gwili extension open, first train on Alnwick branch for almost 50 years, Bluebell SECR O1 back in traffic. CAF starts work on Northern Class 331 EMUs, new look for ROG ‘47’, SWT Class 707 deliveries suspended, Class 319 ‘Flex’ bi-modes for Northern and Arriva Trains Wales. Derby set for £200m rebuild in 2018, PM opens new EMU sidings at Maidenhead, Waterloo closures in August, GCR Catesby Tunnel to become aerodynamics facility. Robert Humm completes the story of the unique 4,000hp Hawker Siddeley diesel prototype with a fascinating insight into its export behind the Iron Curtain to the Soviet Union and the mystery surrounding its demise. 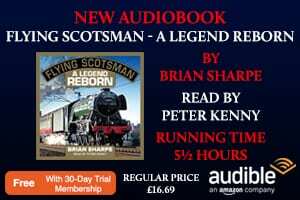 John Heaton continues his Caledonian Sleeper experience with a journey from Aberdeen to Edinburgh in the cab of a re-engineered GBRf Class 73/9. Nottingham waved farewell to its Great Central station in September 1967. 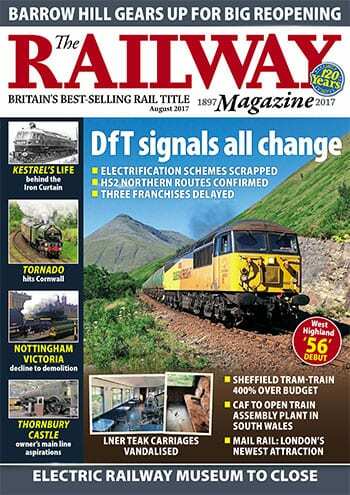 Robin Stewart-Smith looks back at the final two decades of its life, and the steady decline in status from GCR showpiece to unstaffed halt. 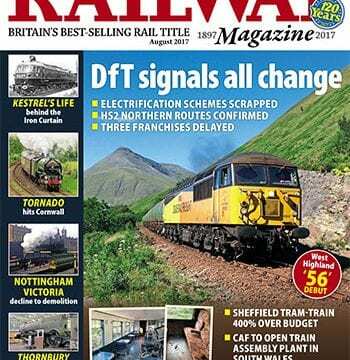 Gary Boyd-Hope talks to Jonathan Jones-Pratt about his plans for the unrestored BR-built ‘Castle’ and his other locomotive, Kinlet Hall, which is currently being restored at Tyseley. 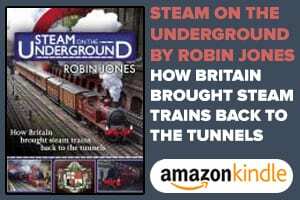 In the latest of The RM’s studies of ‘Lazarus Lines’, Cliff Thomas visits a famous Welsh narrow gauge railway, that first saw use by steam in 1878 and is being resurrected almost seven decades after it was closed by British Railways. In a Practice & Performance special, Keith Farr rides behind A1 No. 60163 Tornado on an epic 305-mile journey from London to Penzance that also marked the first visit of the class to Cornwall.